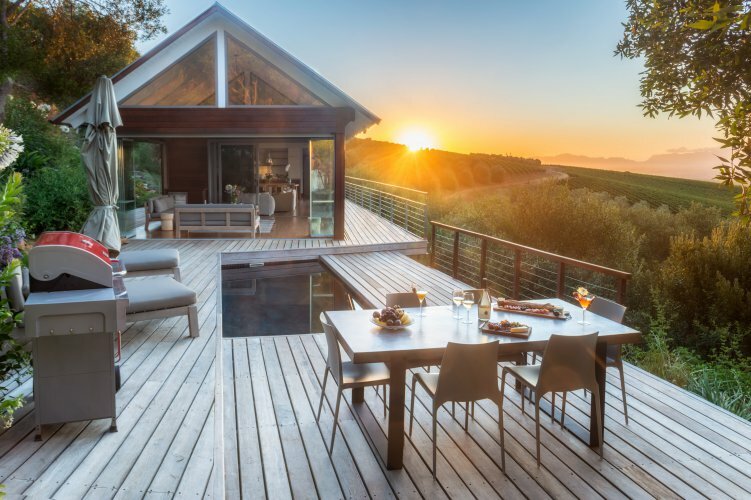 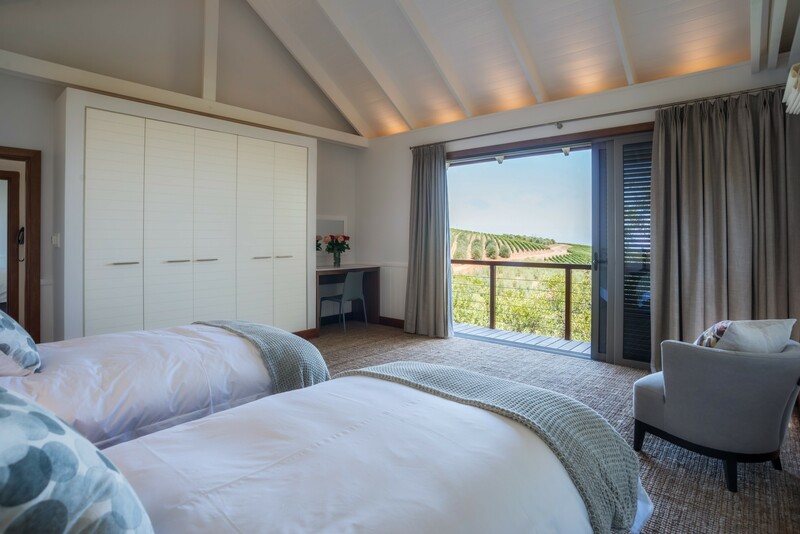 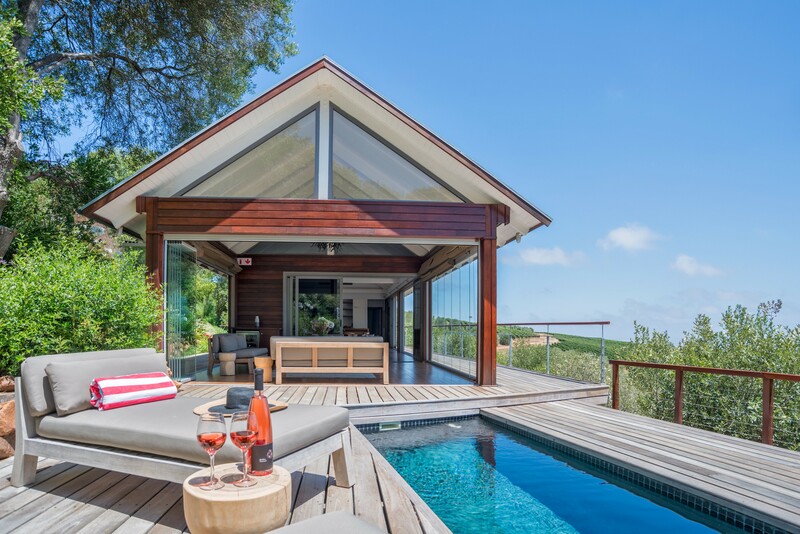 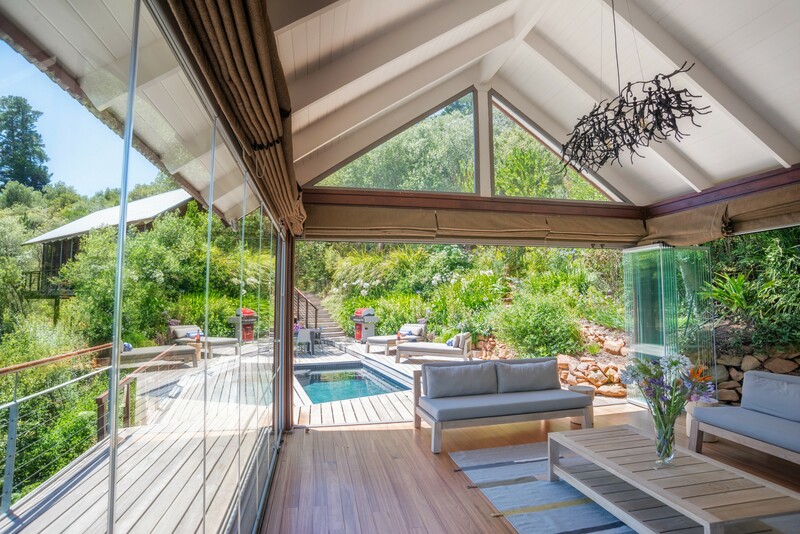 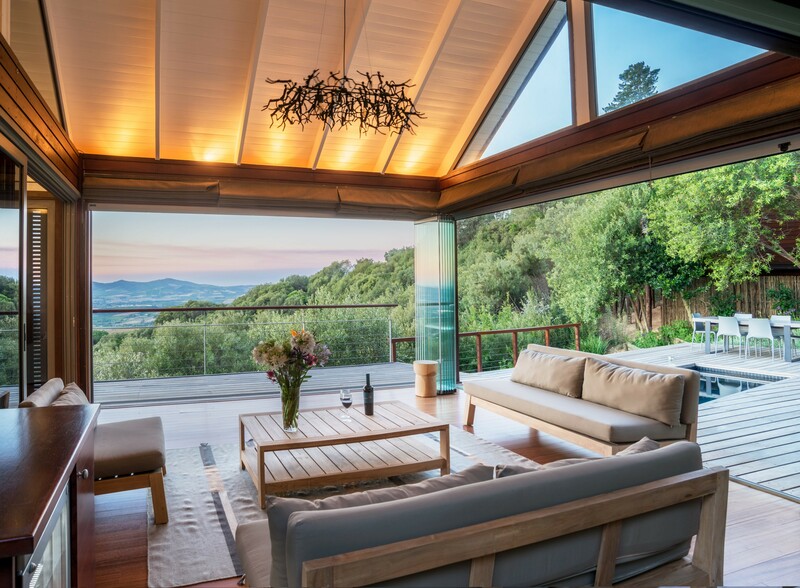 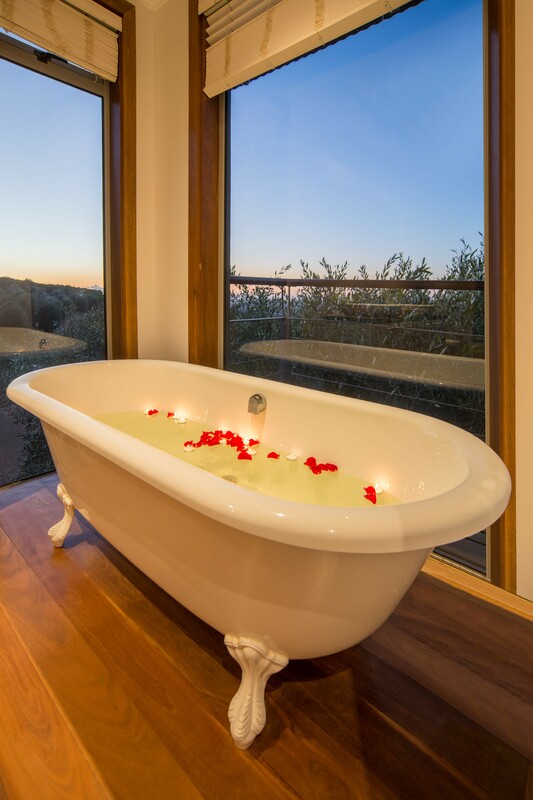 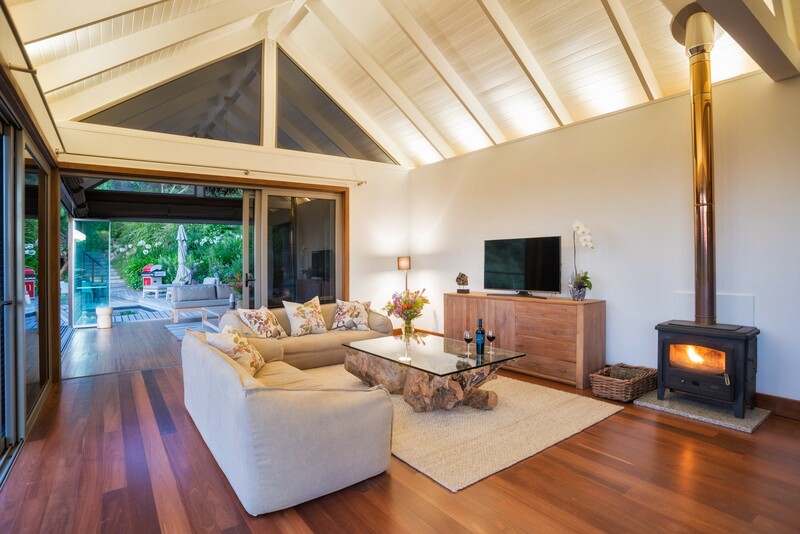 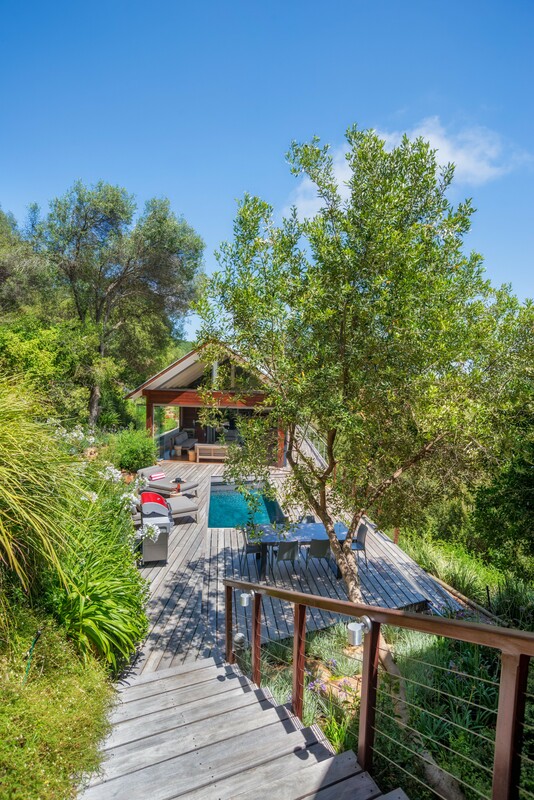 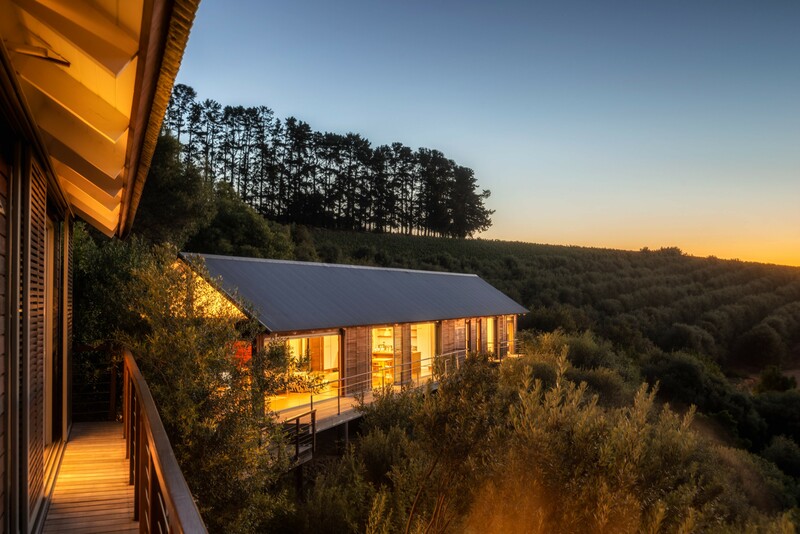 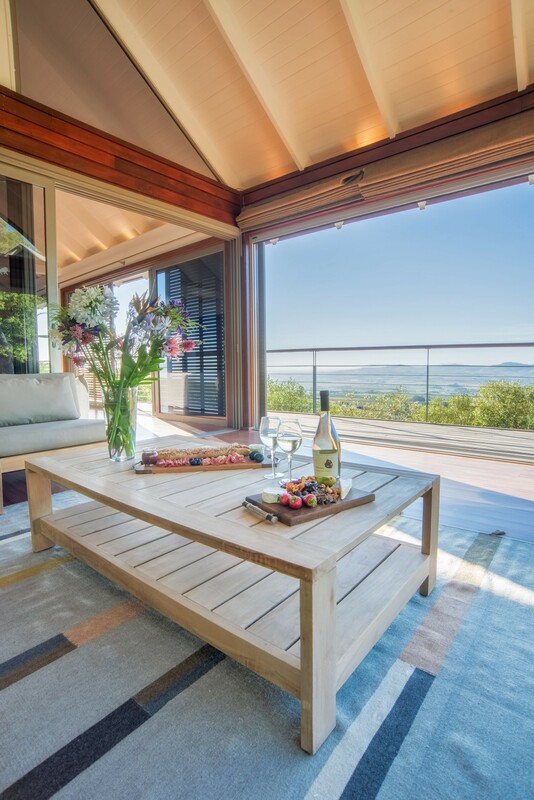 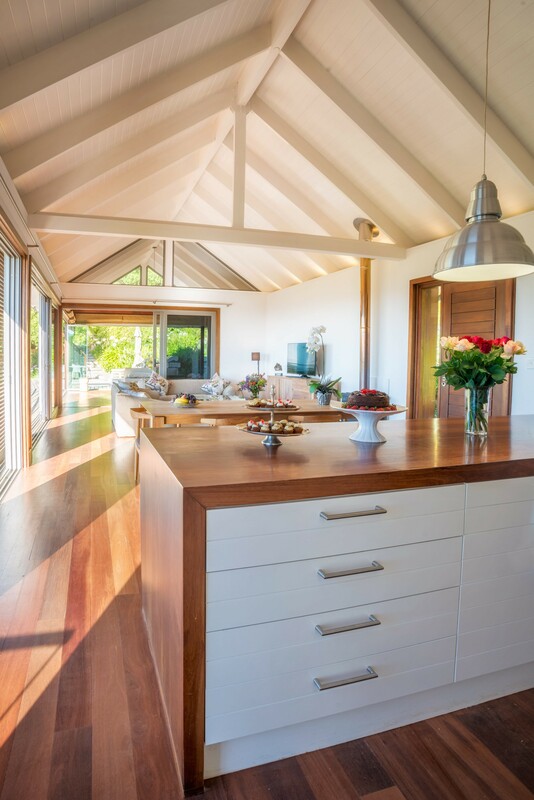 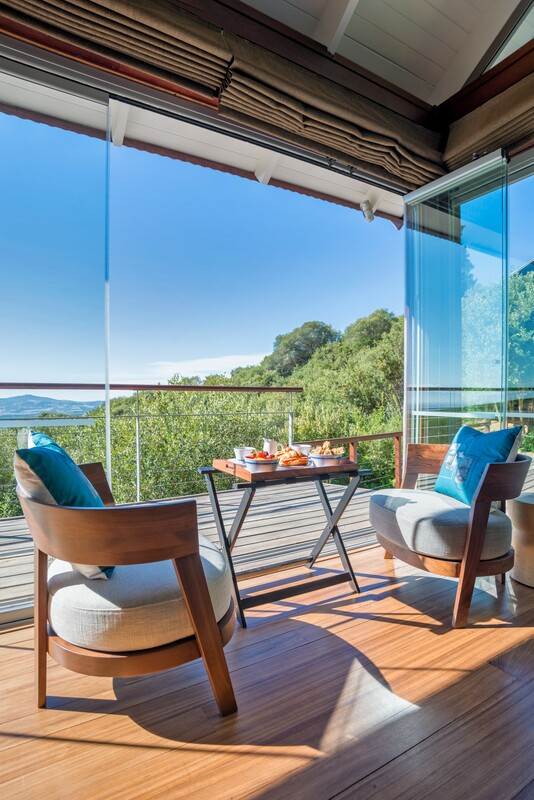 Luxurious & Secluded - Five star, self-catering, three bedroom en-suite Bush Lodge located on a boutique wine farm, Hidden Valley Wines, hidden on the slopes of the Helderberg mountain in Stellenbosch. 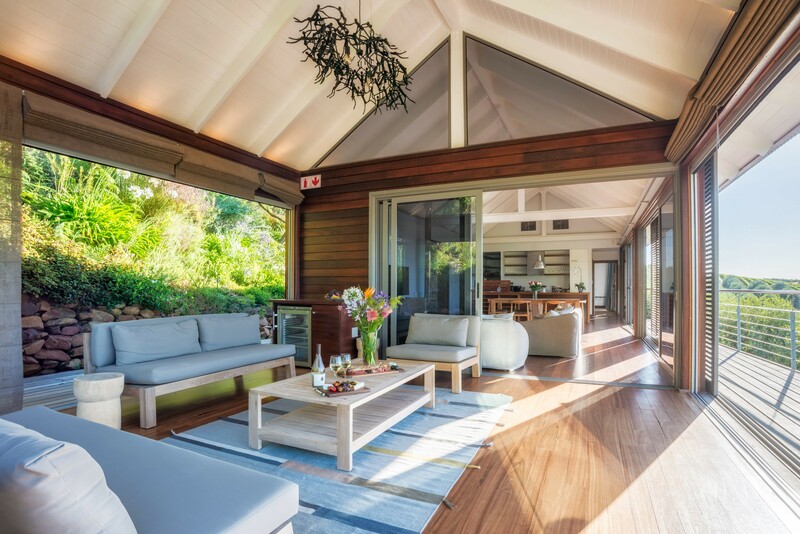 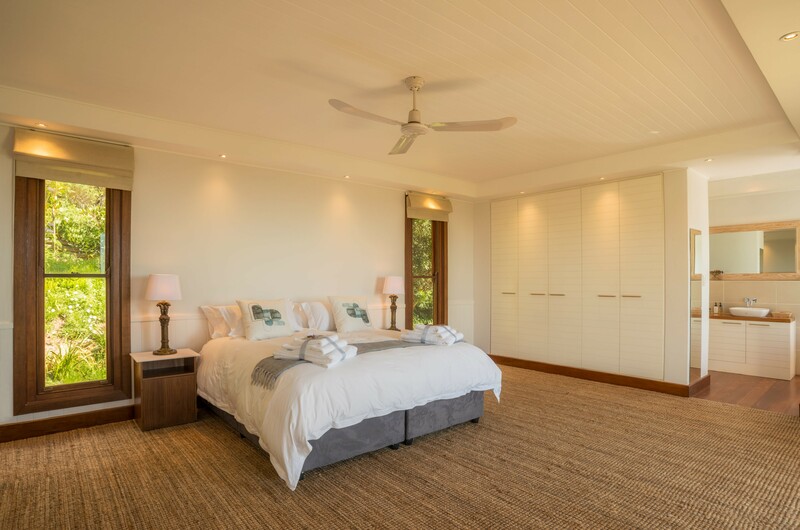 The Bush Lodge sleeps maximum 6 pax and comprises of an open-plan living, dining and kitchen area with 1x King Size, en-suite bedroom as well as separate cottage comprising of 1x King Size en-suite bedroom and 1x Twin en-suite bedroom. 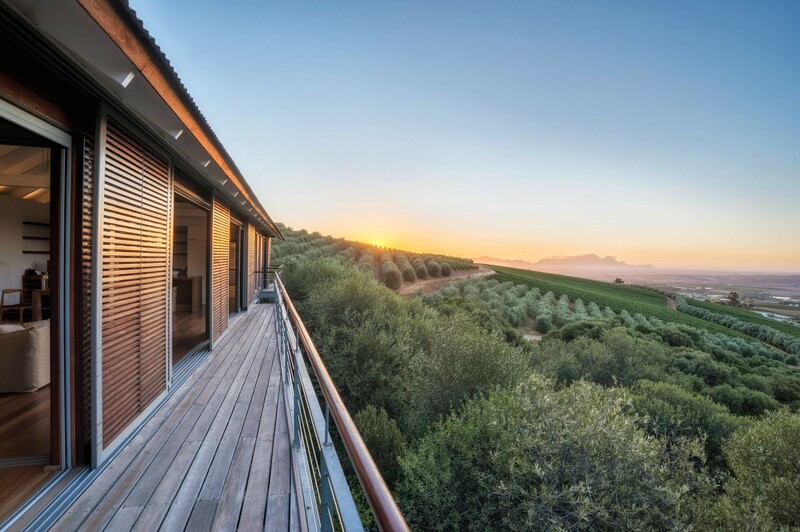 Booked as one unit only regardless whether 2 or 6 pax.